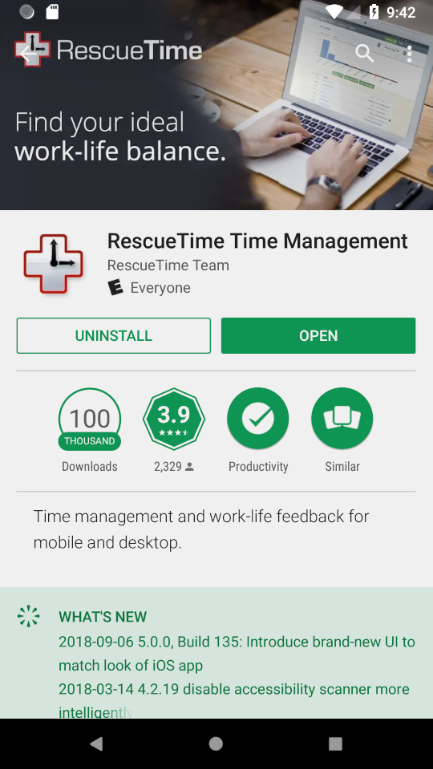 The RescueTime Android app can be found at the Google Play store. When you install the app, you will see a friendly welcome screen. Press the green Continue button at the bottom to start the setup process. 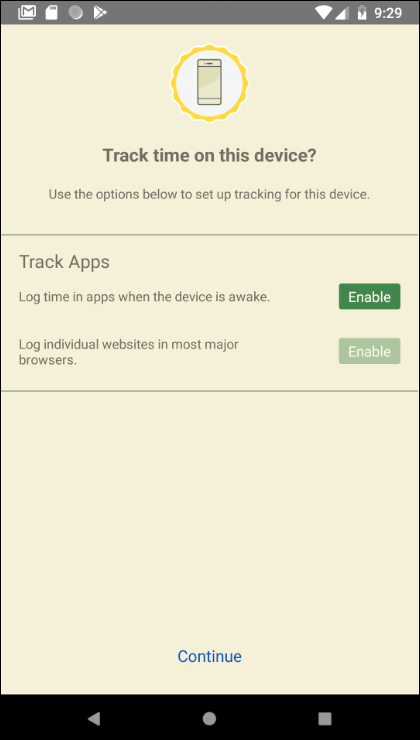 You are then presented with a choice of what you want to track from this device: Apps and (optionally) Sites. 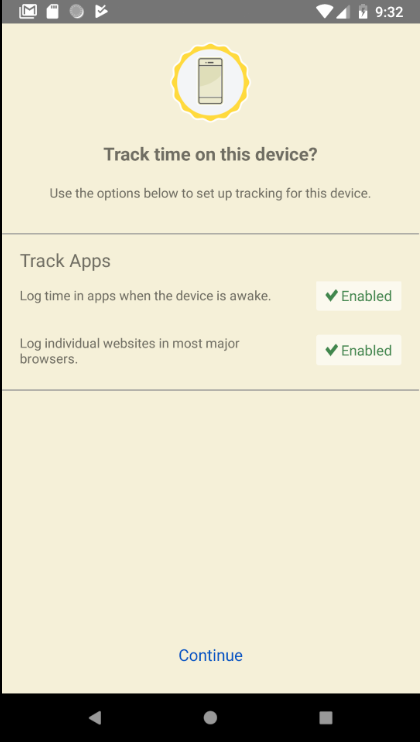 Tracking will require additional permissions, which the app will help you set up in subsequent screens. 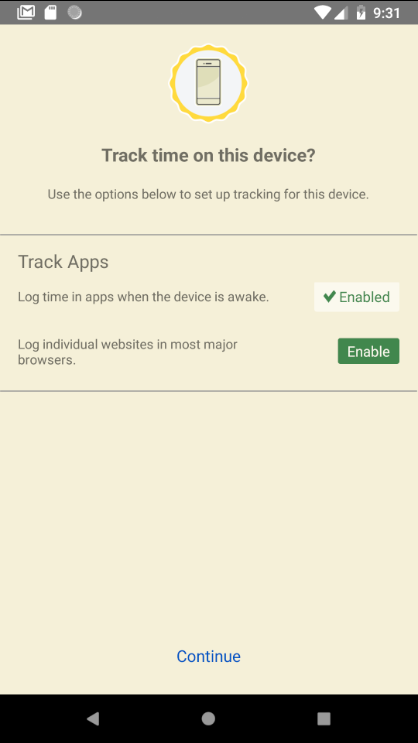 To set up app tracking, tap on the first green Enable button. 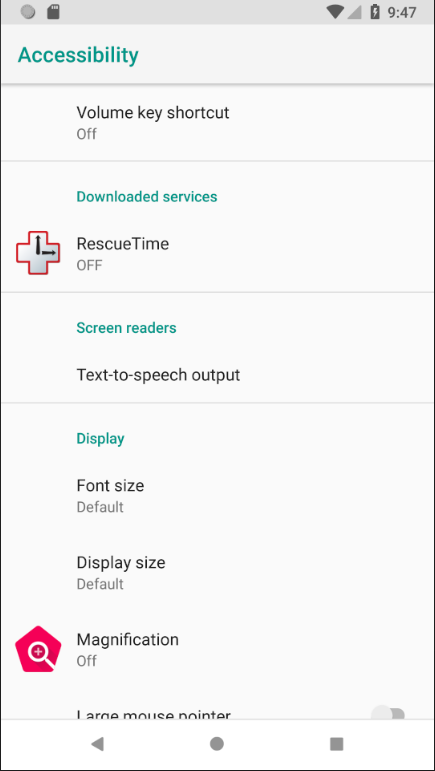 The first permission request screen pops up, explaining how to set up App Usage access for RescueTime. Click Fix settings to start the process. 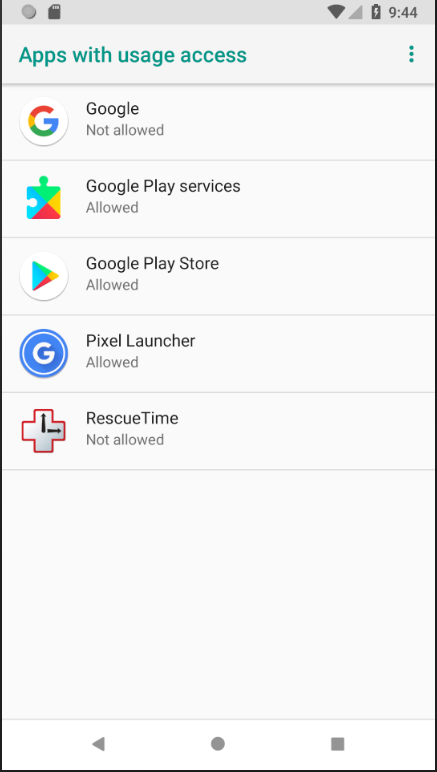 You'll be sent to the System Settings "Apps with usage access" screen. Tap on the RescueTime entry. 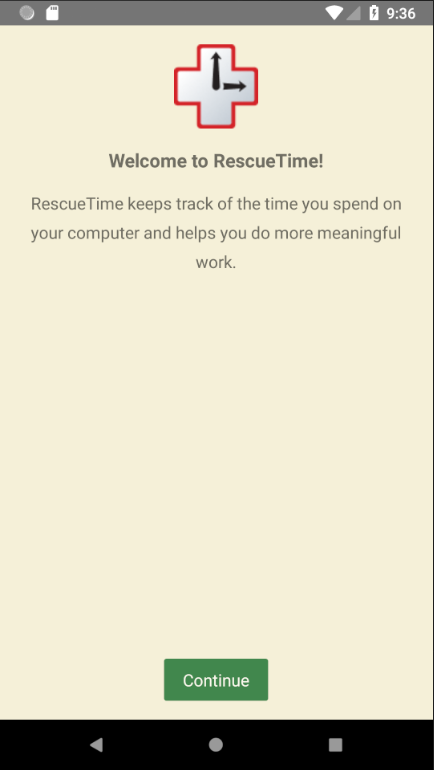 Then the RescueTime app usage access screen will open. 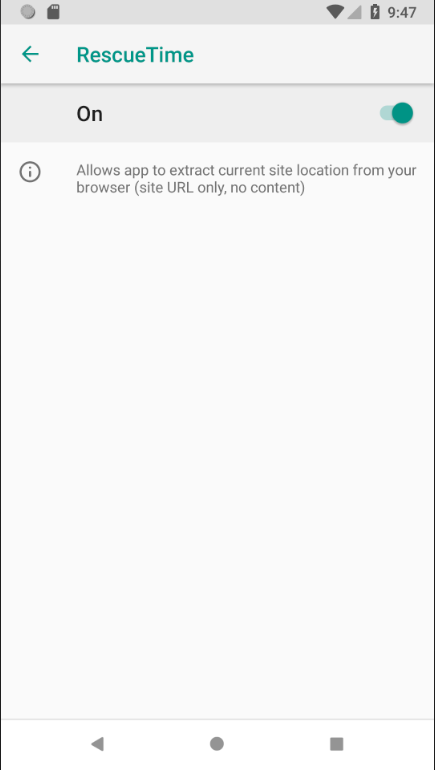 Move the slider to the right to enable access. 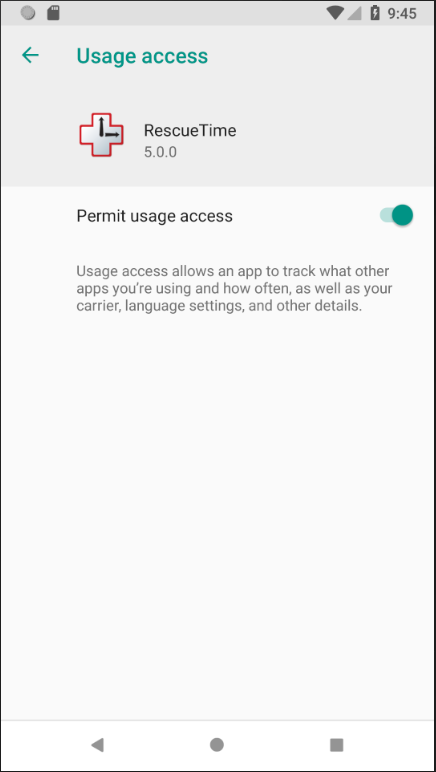 Click the green Fix settings button to go to the System Accessibility Settings page. 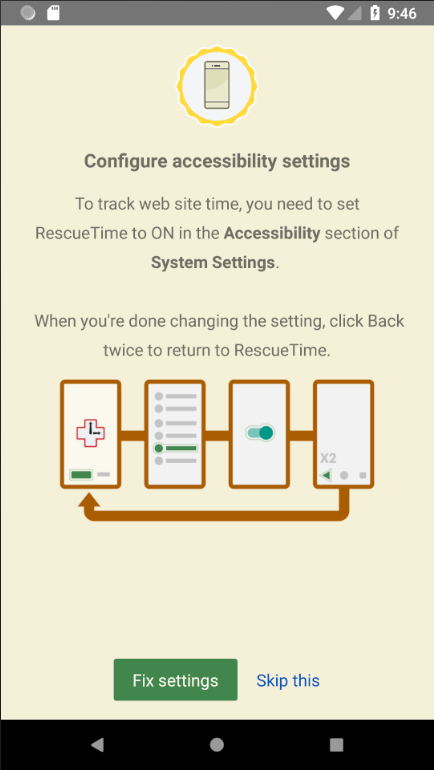 Click on RescueTime's listing to open the detail page, and then move the slider right to enable RescueTime for accessibility. 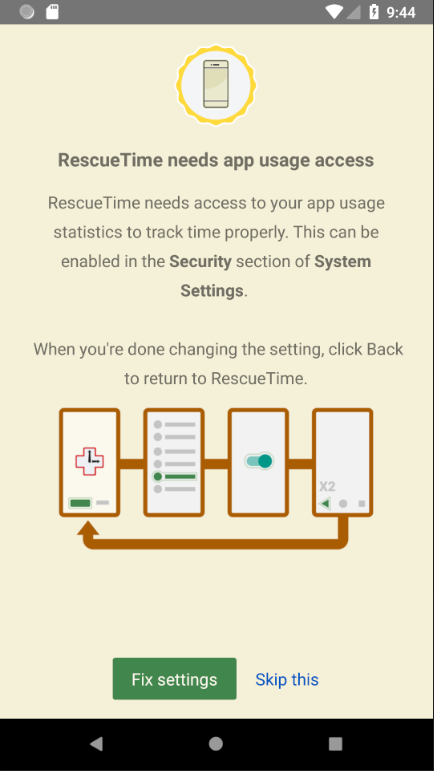 Now hit the Back button twice to return to RescueTime. You will then see this screen, showing that Track Sites has been enabled. Tap the blue Continue at bottom to move on. 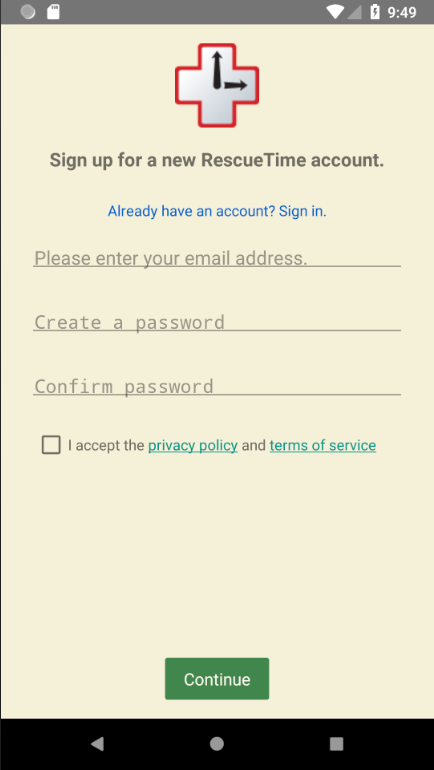 After logging in or creating an account, you will be taken to the app Dashboard. 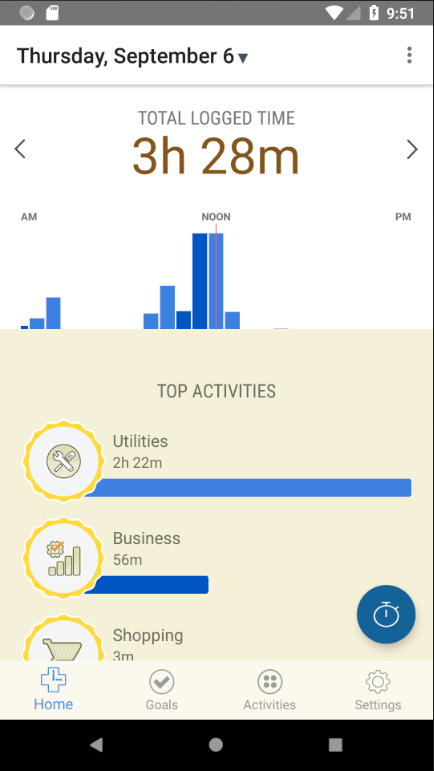 If you have an existing account with data, you will see that information on the Dashboard. If you just created your account, it will take a few minutes for data to be displayed.